WASHINGTON (Legal Newsline) - Last week, the Consumer Financial Protection Bureau announced it plans to hold another field hearing on its much-anticipated arbitration rules next month. The hearing, according to the CFPB’s blog post, is set for 11 a.m. MDT May 5. It will be held at the Albuquerque Convention Center in New Mexico. CFPB Director Richard Cordray will deliver remarks. Consumer groups, industry representatives and members of the public will testify, the bureau said in its announcement. Alan Kaplinsky, the attorney who pioneered the use of pre-dispute arbitration provisions in consumer contracts and who leads the Consumer Financial Services Group at Ballard Spahr LLP, wrote on the group’s blog that he expects the field hearing to coincide with the release of the CFPB’s proposed arbitration rules. 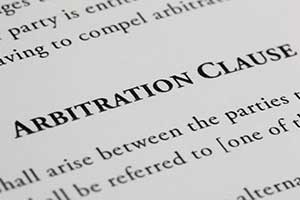 In October, the bureau announced it is considering proposing rules that ban the arbitration clauses that prevent class action lawsuits. Consumer groups and trial lawyers instantly applauded the move, while industry groups and some legal experts questioned the bureau’s rationale. But the CFPB, an independent agency of the federal government responsible for consumer protection in the financial sector, has insisted it is not considering a proposal to prohibit arbitration agreements completely. * First, the bureau is considering a proposal that would prohibit the application of pre-dispute arbitration agreements to class litigation in court. In other words, the proposal would foreclose consumer financial companies from using such agreements to avoid or seek dismissal of a class proceeding before a court ever has an opportunity to review the merits of the case. * Second, the CFPB is considering a proposal that would require consumer financial companies that use arbitration agreements to submit claims filed and awards issued in arbitration proceedings involving consumers and the company to the bureau. Collecting these claims and awards would ensure that the bureau is aware of any practices harmful to consumers develop in arbitration in the future. The bureau also is mulling whether it should publish claims and awards in redacted form on its website. The CFPB contends the benefits of the proposals include a “day in court” for consumers; a “deterrence effect,” basically incentivizing companies to comply with the law to avoid lawsuits; and increased transparency by requiring companies that use arbitration clauses to submit the claims and awards to the bureau. “When consumers can band together to seek relief in a group lawsuit, individuals can be compensated for relatively small or hidden harms, and companies are incentivized to stop violating the law in ways that harm consumers,” Eric Goldberg, senior counsel with the CFPB’s Office of Regulations, previously told Legal Newsline. A recent speech by Cordray reinforced speculation that the bureau will not only soon release its new rules, but also that it is sticking to its guns in restricting the use of arbitration provisions in consumer agreements. “We fully expect the CFPB’s proposed rule to prohibit the use of class action waivers in consumer arbitration agreements,” Kaplinsky wrote on Ballard Spahr blog CFPB Monitor. The May field hearing will be the third such hearing the bureau has held on arbitration. The first was held last March and the second was held in October. Assuming the bureau issues its proposed rules on May 5, Kaplinsky said it is likely that any final rules would not take effect before summer 2017. Kaplinsky, who testified at the two previous field hearings as an industry representative, has said he believes the CFPB, in proposing such a ban on arbitration, could be setting itself up for future legal challenges. In his blog post, he advised companies that do not currently use arbitration agreements in their financial services contracts to “strongly consider” adding them. Agreements entered into before the rules become effective, he noted, are grandfathered under existing law, which is favorable to class action waivers. Next month’s field hearing is open to the public, but requires an RSVP. Live video will be streamed on the CFPB’s blog.